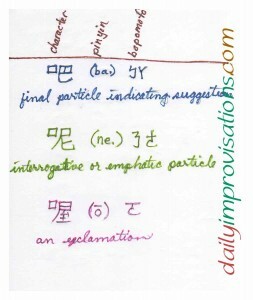 Chinese characters that represent non-word sounds that indicate suggestions. But that’s more of an inquiry than a suggestion. There are a few common, friendly ways to make gentle suggestion in Chinese. 1. 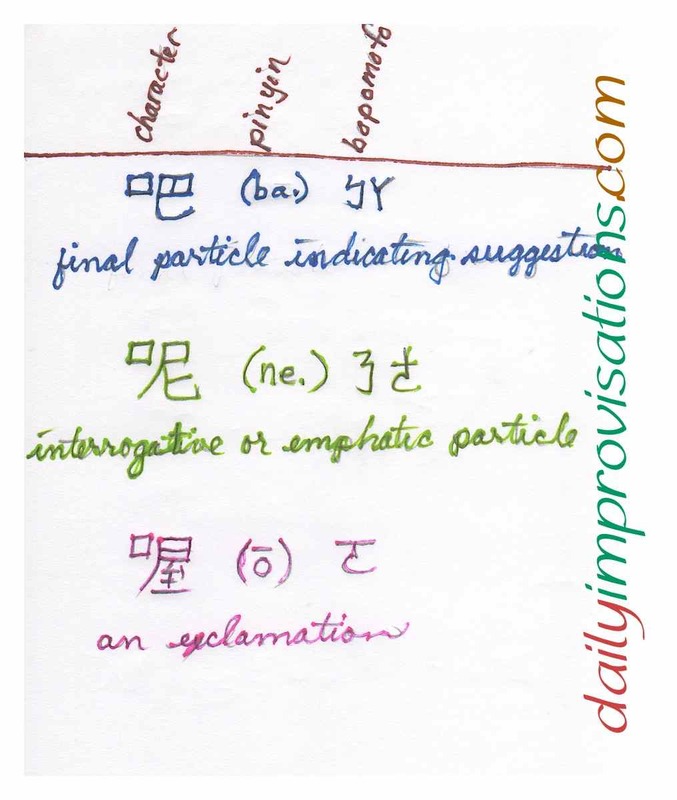 One uses the sound “ba” 吧 (in a neutral tone), usually at the end of a short sentence stating the activity. It is along the lines of “let’s…” There is most likely a context where such a short sentence has clear meaning. “Ba” 吧 is not a word in and of itself, although it has a character so that the idea of suggestions of this nature can also be written, though this would only be for less formal writing of dialog. The use of a non-word sound is similar to how the Chinese language uses one of the tones of “ma” 嗎 to form a question, as in the following example. You go watch a movie now. Why don’t you go with them to a movie? Let’s go see this movie. My ice cream is all gone, why don’t you give me your ice cream? (ni3) (yao4) (kan4) (dian4 ying3) (ne.) ? (hai2 shi4) (ni3) (yao4) (shui4 jiao4)? (you) (to want) (to see/to watch) (movie) (interrogative particle)? (or) (you) (to want) (to sleep)? Do you want to watch a move? Or do you want to sleep? (wo3) (xi3 huan1) (bing1 qi2 lin2), (ni3) (ne.)? (I) (like) (ice cream), (you) (interrogative particle)? I like ice cream, what about you? 3. 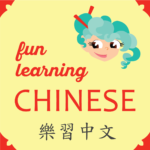 If one is feeling a bit playful about the suggestion or implied question, then the sound “o” 喔 might be employed at the end of the sentence. You should give me your ice cream. An ending sound is probably not used, since the (much stronger) suggestion has already been made. While you watch the movie, I can eat your ice cream. While you drive the car, I can sleep. Would you speak a little slower? In the title, 如何建議 (ru2 he2 jian4 yi4), the more formal phrase for “how to” 如何 (ru2 he2) has been used instead of the commonly spoken 怎麼 (zen3 me.) just because my tutor is trying to get me used to variations in the language.